Back in February 2017, James Doig who was studying Media at Quinnipiac became our intern. Upon taking up the position, he recognized that the glove part of the business had the greatest potential for growth and he went about creating the website www.L1Goalkeeper.com. James, for the last year, has continued to market the L1 Goalkeeper brand as well as being a Media advisor for Goalkeeper HQ. As part of his Masters and, whilst using the L1 Goalkeeper brand as part of his portfolio, James managed to get a position in the media team at the New York Red Bulls. I have been meaning to share this article but did not get around to it. Now that the spring season is around the corner, I thought I would dig into the article to see how it affects goalkeepers, especially as this is the last season in which any grace period to transition will be over. The Player Development Initiatives aim to create an environment for youth players to grow and develop their soccer abilities. The most notable PDI includes small-sided game standards. Small-sided standards are regulations for youth games played with less than eleven players on each team that include field and ball size, game length and special rules. Fewer players on the field will allow players to be more involved and provide more opportunity for development. The PDI for small-sided standards of play will be implemented across the country. For goalkeepers that were born in September – December and used to being the oldest players on the team, they will find themselves playing a year up and being one of the youngest. 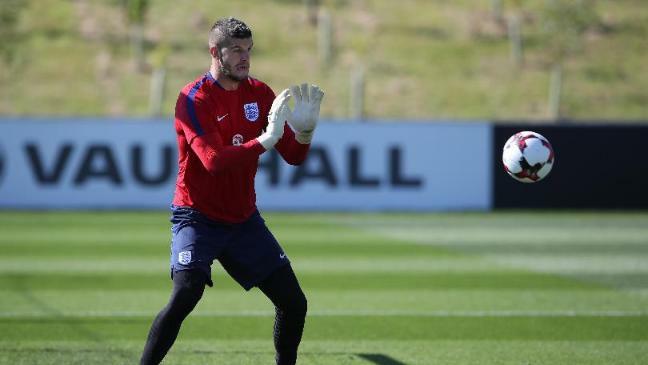 The implications for these goalkeepers are both physical and psychological. Playing up will, will most likely mean that the goalkeeper will be playing against taller, stronger, faster players with shots coming in harder and possibly further away. These goalkeepers will also find that they will be playing with players in a higher school year, which may affect the goalkeeper’s confidence in communicating and presence. By having a uniform age range across the country also means that tournaments and showcases are played with same age players. The small-sided philosophy is aimed to develop improved skills with the ball and to develop intelligence with and without the ball. The uniform standard aligns with the physiological needs of the players. The small-sided games provide more touches for the goalkeeper and encourage the goalkeeper to make more selection of passes when distributing. The goalkeeper also becomes more of an option to pass back to. The goalkeeper should be ready to be the quarterback of the team, an article which I wrote previously. The small-sided games also mean smaller fields and smaller goals at the U9 & U10 age groups as goals are changed from the old 8v8 size of 7ft x 21ft to 6.5 x 18.5 This is great for smaller goalkeepers to adapt to. The recent Philadelphia Soccer Coaches Convention was a great learning tool, but also one to celebrate achievements. For one young man, whom I have had the pleasure of working with, it was an opportunity to pick up his recognition of becoming an “All-American” player. The United Soccer Coaches ( Previously the NSCAA ) announced in December the 127 players ( 67 boys & 60 girls ) who had been recognized across the country for their efforts and performances throughout the fall of 2017 in their High School season. The players were formally acknowledged for their accomplishments at the All-America Luncheon on January 20, 2018 at the Pennsylvania Convention Center in conjunction with the 2018 United Soccer Coaches Convention. Mauricio Arango, a senior from Yorktown Heights, NY was one of three goalkeepers chosen for the boys. I had the pleasure of working with Mo when I was the goalkeeper coach for Everton FC Westchester as part of the Development Academy. We struck up a great relationship from the first session, which I recall was just him and myself as the note had not gone out to the teams that there was going to be goalkeeper training that night. Mauricio has some great training qualities that can be emulated by all goalkeepers. Here is Mauricio’s highlight video. I asked Mauricio how and why he may have got picked for such an award. So, it helps that your High School had a good year. How did he do personally? That is impressive! It’s starting to tie in now… The clean sheets are both good stats and help the team to get points. It is the combination of winning and securing the shutout at the back that starts to get people to take notice. I’m sure that wasn’t the only thing. What attributes did you bring to the team to help you stand out? Mauricio in action with his High School team (left) and at the Goalkeeping Residential Camp with team-mate Cam. Two success stories as one plays High School and the other the Development Academy with NYCFC. Your team must have been pretty good. Were you called into action much and did you make any crucial saves? You have played US Development Academy soccer and High School. What would you say are the differences? “I think the biggest difference is the pace of the game and the intensity of the training sessions. The pace in which the Academy games are played is much faster and it demands quick thinking and quick decision making. The training sessions for goalkeepers are also more intense at the Academy. You usually don’t have a goalkeeper coach at High School so it can be difficult at times to keep that high level of intensity when you are running your own sessions. Why did you make the decision to play High School soccer? What would you say is the weakest part of your game and how did you deal with it or disguise it during the season? My weakest part of my game would have to be my distribution and one on one situations. I disguised it by distributing as quick as I possibly could. As long as the ball was out of my hands and into the feet of my teammates I was happy. My distribution did progress as the season went on so it didn’t become a detriment to my game. For one on one situations, I learned to anticipate through balls and that made it easier to collect balls and to cut out attacks. How was the actual ceremony in Philadelphia? Mauricio with his father and his award at the United Soccer Coaches Convention in Philadelphia. I attended the United Soccer Coaches Soccer convention in Philadelphia earlier on in the year. It was the first time I had been in six years and was excited to see sold old work colleagues but also to really educate myself on the latest goalkeeping trends. Here are the field sessions or classroom sessions I attended. 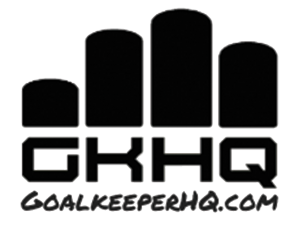 As we preach at Goalkeeper HQ, it was stated that the modern day goalkeeper’s job is different from 20 years ago and it can be argued that the goalkeeper’s job has changed in the last five years or so. This is because the game itself is evolving. There is now an attacking trend in the game, which lends itself to playing three defenders at the back or even if there are four in the formation, there are often attacking full backs which are encouraged to get high up the field. Below is a diagram of what the average game looks like for a college goalkeeper playing 90 minutes. On average, the goalkeeper is expected to make 2.6 saves per game & around 30 passes. The key is to ensure the 2.6 saves are saves and not goals and that as many of those 30 passes are as accurate as possible. 3 – Crosses are now rarely floated into the box. They are now whipped in quicker to “Second 6yd box” between 6yd box and the penalty spot or pulled back. THE GOALKEEPER’S STRENGTHS / WEAKNESSES, AS WELL AS THE TEAMS, SHOULD BE CONSIDERED IN A STYLE OF PLAY. BOTH ATTACKING AND DEFENDING. A fast team, looking to counter-attack requiring the goalkeeper to distribute quickly beyond the oppositions back line. A goalkeeper who is comfortable playing high will enable the team to go with three at the back. With the trend to now whip in fast, low crosses or to pull the ball back, goalkeepers are tending to drop further back and provide more reaction time than to step up and narrow the angle. New balls provide a higher velocity and more movement requiring this reaction time. Goalkeepers are now taller, and more athletic which enables them to block more of the goal when they are set and have enough reaction time. In fact, goalkeepers are required to be amongst the top athletes on the team. IT IS OUR JOB AS GOALKEEPER COACHES TO BEST PREPARE GOALKEEPER FOR THE GAME. There are differences in the demands of each stage of goalkeeper development. It is our job as goalkeeper coaches to make sure that the goalkeeper understands what is expected of them and to also incorporate the relevant aspects of each theme of goalkeeping. As stated above, a team may have to adopt a style based on their strengths. It is important that the team know the goalkeeper’s strengths and weaknesses so they can better deal with them. It is just as important for the goalkeeper to know the team’s strengths and weaknesses. It may be that the goalkeeper works out that the left back always cuts in because they are right footed. It might be that one central defender is more comfortable with the ball at their feet than the other. The goalkeeper should use time with the team to get to gel in a relationship. In this video, originally used for our Mentor program, we follow Yale women’s goalkeeper coach, Marty Walker as he recruits players from Surf Cup in San Diego. Coaches have many players and games to watch – They are unlikely to stay for the whole game. Although coaches dont just wonder the field in the hope to find someone, they may be at a game looking at someone else ( an outfield player perhaps ) and if you impress, they may inquire about you. The game may not allow you to shine. If you look good when not busy, the coach will make a point of seeing you in a different game. Marty was looking at the goalkeeper’s ability to communicate with defenders as well as show good technique, even with the easy saves. Distribution and starting positions are other areas in which coaches can judge your ability without even making a save. The Surf Cup is ideal for recruiting as it has many fields in the same area – Allowing goalkeepers to catch the eye of recruits not necessarily there to see you. Here are a few goalkeepers scoring penalties – As you can see Courtois is no stranger to taking a good penalty. How to improve consistency of performance as a goalkeeper. The new season provides for many the opportunity to reflect, refuel, reengage, restructure and refocus for future performance growth. Achievements and failures are in the past – new journeys, opportunities, obstacles, and challenges lie ahead. The best athletes and coaches prepare effectively for all these challenges. Every sporting decision we make—every reaction, every choice, and every movement is based on a fine motor skill using not only the muscles of the body but predetermined by the central nervous system (brain and spinal cord). First, you need to understand that there will be good days and bad days on the field. You cannot play at the same exact level every day. Even pro players have ups and downs. For goalkeeping, one success factor that I’ve observed, which is present across all of the different levels, is consistency. It is what they do each and every day over and over again that allows them to achieve their results. A goalkeeper will always be remembered by the mistakes they make. Therefore it is important to increase the consistency of good performances. Wolff’s Law states that the body conforms and adapts to the intensities and directions it is habitually subjected to. The key word is habitually. It’s not enough to do a single intense workout then expect to be faster, fitter, stronger. It’s the workouts that you habitually do every week for many weeks that make your body faster, fitter, stronger. Hence the reason for this 8 week plan. The good news is consistency is a piece of the puzzle that we can all solve. Consistency is not a skill or talent—you have direct control over it. Here are eight habits that will increase your consistency and ultimately your success on game day. Pregame routine – Arrive early to the field to settle into a routine. Take care of all the details of checking and organizing your equipment. Warm-Up – Warm up the same way for every game. This will signal your body and mind of your readiness to play. This is not the time to try anything new. Stick to your tried-atrnd-true method for preparing yourself. Game Plan – Know the game plan from the coach with regards to distribution methods, speed of play, and any adaptations due to weather conditions. Mental Routine – Have a mental routine to help you visualize good saves. Commit – Once you have decided on technical method for saving, commit to it. Trust – Trust your training, your abilities, and most importantly, your capability to make the correct save or decision. Emotional Control – If a mistake happens, you may not like it… but get over it. One bad decision is not an indication that you are playing badly. You are only as good as your next save. Riding the emotional roller coaster is a consistency-killer. Now is the Time – During play is not the time to evaluate your progress, analyze your technique, or project the final result. Stick to your plan… What do you need to do at this moment?